This week there’s been more bad news in the world. 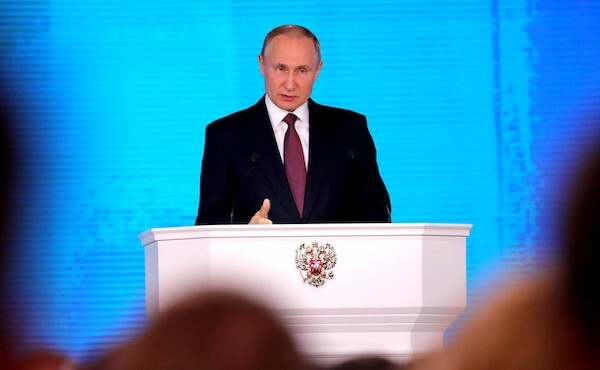 Russian President Vladimir Putin announced that he has tested a new design of nuclear weapons that cannot be intercepted, and that have a practically unlimited range. Microsoft co-founder Bill Gates says the likelihood of another financial crash like the GFC is a certainty, with some economists saying that we are close to seeing another economic bubble burst. On top of this, our Facebook feeds keep reminding us of cancer and funerals and grief and trials. In many ways, this flow of bad news is really, very normal. Every week we hear about threats of war, economic instability, and personal sickness and death. And none of us know if more of our own, personal trials are just around the corner. In the end, the only certainty we have is that life is full of uncertainty. Except for one thing: we can be certain about eternity if we put our trust in Jesus. Jesus make it clear that we can have certainty about life after death if we follow him as our loving ruler and rescuer. He said that his followers are his sheep, and that he is our shepherd. In a time of uncertainty, we can find certainty in Jesus. No matter what happens in the world or in our household, we can have certainty if we choose to have Jesus as our shepherd. Since Jesus is certainty, it seems crazy to put your hope in anyone or anything else.